engaging emails with Autoklose Email Campaigns. Forget about bland, impersonal communication with your prospects, and make them feel as if you’re addressing them personally. Autoklose turns your generic emails into highly personalized, accurately targeted interactions with your audience. 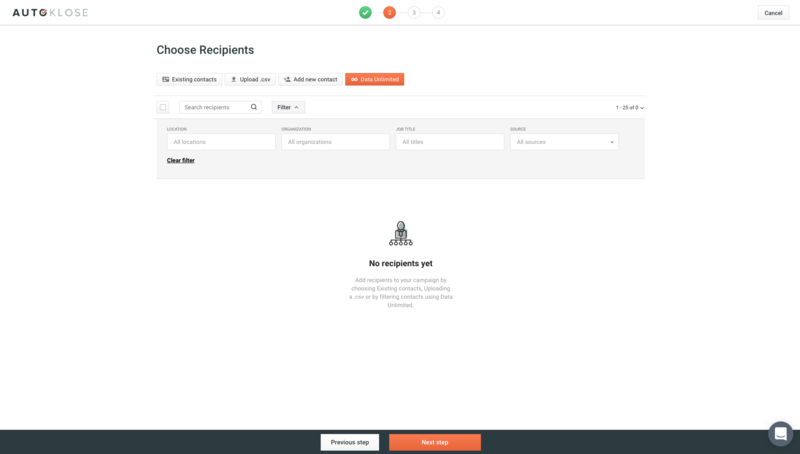 Machine-learning powered Autoklose Template Analyzer shows you Closing Tips & Spam Alerts and helps you polish your email copy for better deliverability and engagement. 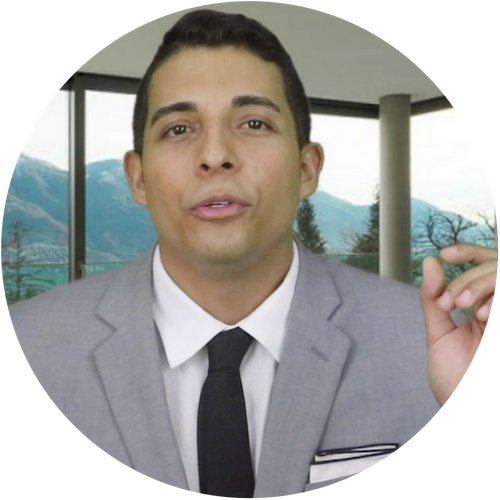 With so many powerful tools integrated into Autoklose, your conversations with your prospects will be meaningful, and you’ll avoid the trap of mass marketing emails sent out to a general audience. Differentiate yourself and show your prospects that you know who they are, what they need, and offer them a solution to their particular pain points. With effective email campaigns powered by Autoklose, you can create a predictable and repeatable sales process that will double if not triple your existing pipeline. 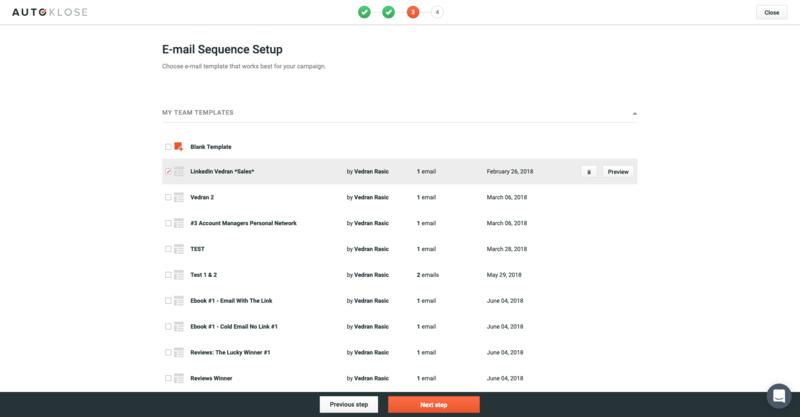 The Autoklose Template Analyzer highlights spam words and phrases and uses warnings, signals, and helpful information to guide you towards creating deliverable, engaging, and converting email campaigns. 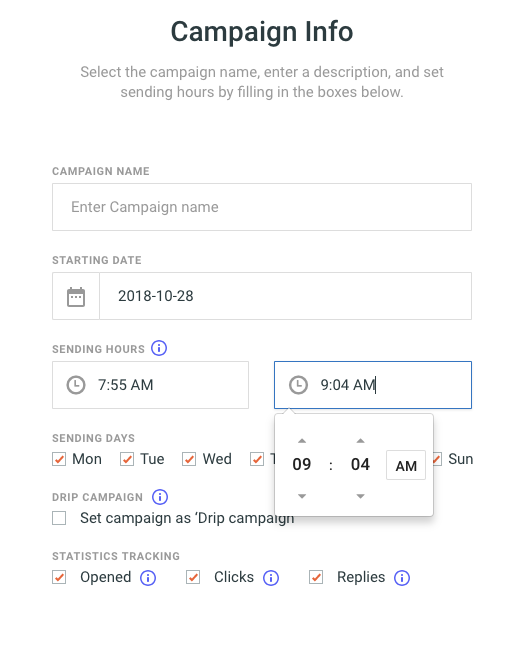 Choose from a number of options – select the campaign name, starting date, hours, sending days, campaign type, and the most important statistics to track. Fresh leads are the lifeblood of every business. Add contacts from multiple sources like your .CSV files, Autoklose DataUnlimited, your existing Autoklose Contacts, or add a single contact manually. Choose the recipients in a campaign, remove them, or apply different filters to target the most suitable contacts who have the potential to become qualified leads. Can’t come up with effective sales email copy? Use our carefully crafted templates for different business situations, add your personal touch, and save them for later. Or start from scratch by using a blank template. Enlist our powerful editor and the Autoklose Template Analyzer to help you add as many follow-ups as necessary for your type of campaign and send customized, spam-free messages by choosing the touch time and intervals between follow-ups. 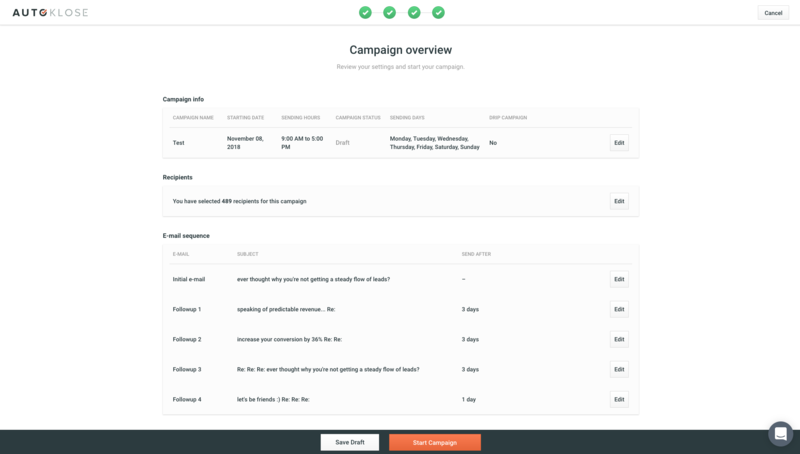 Take a final look at your campaigns’ most important settings, check the recipients and the number of follow-ups, schedule your campaign, and leave the rest to Autoklose. Nurturing and engaging your prospects after the initial contact is of vital importance for building customer loyalty. Automated follow-up campaigns will warm up your prospects and move them down the funnel. After you finish tweaking the settings and picking the ideal template, you can easily preview and edit it. The Autoklose Template Analyzer will prompt you to eliminate spam words, advise you to add missing elements, give you tips on optimizing your email copy, and checkmark when you’re good to go. Most deals are closed somewhere between the fifth and twelfth touch. Only 10% of salespeople make more than three contacts. Autoklose allows you to automate your follow-ups and touch base with your prospects at certain, predefined intervals. Create multi-touch, personalized campaigns and select the number of days between each follow-up. Autoklose enables you to send your follow-up in the form of a reply to the previous email or as a completely separate message. See what works for every individual instance. Autoklose’s easily customizable email placeholders allow you to automatically insert custom fields from your contact information, and send unique, engaging messages to your prospects. 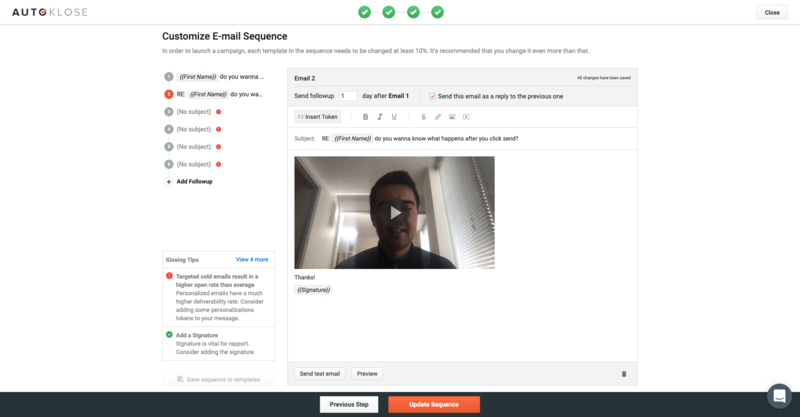 Engage and convert your prospects by accessing the video tool directly from your email editor. Capturing your audience’s attention has never been easier and more effective. Personalize your emails by attaching documents, proposals, and/or other multimedia files. You can add attachments to one-off emails or cadence emails. Before you are 100% sure that the copy is polished and ready, send a test to yourself or a colleague to check the look and feel on mobile and desktop/laptop. 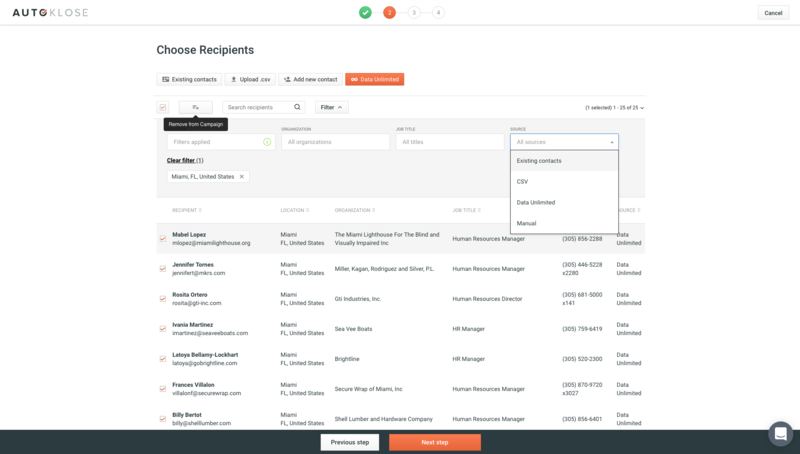 The Autoklose email tracking software supports your Gmail, GSuite, Outlook or Office365 inbox, and automatically keeps tabs on all your important messages without disrupting your workflow. Autoklose can connect and send emails from any email account provided you have IMAP access enabled (which most accounts do). By using your own address, you will make emails more personal and improve the deliverability and open rates of your campaigns.